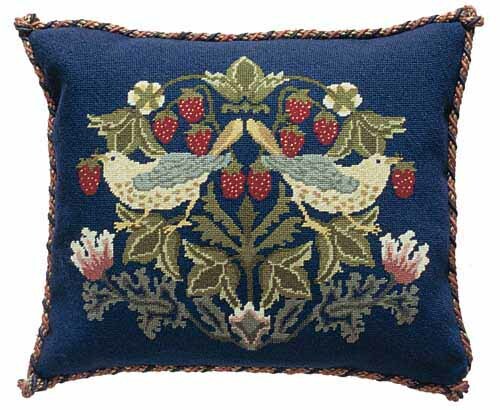 The inspiration for William Morris' best loved Strawberry Thief design came while he watched thrushes stealing the strawberries from his garden at Kelmscott Manor. Despite his frustrations at losing his fruit, rumour has it that Morris ordered that the birds be left to eat in peace. Morris spent years researching the lost art of natural dyeing and the strong blues in Strawberry Thief are the result of the indigo discharge method. 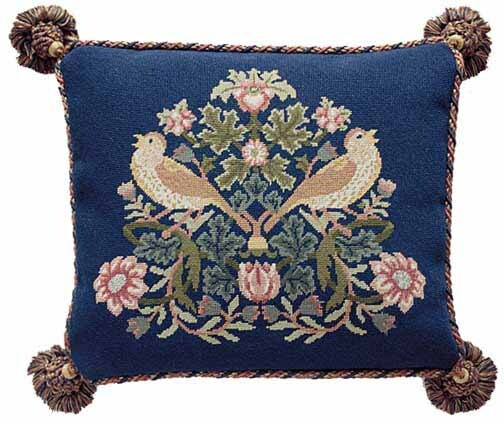 Some of the original William Morris fabric still hangs in Kelmscott Manor and the fabric design is produced today by Liberty of London. 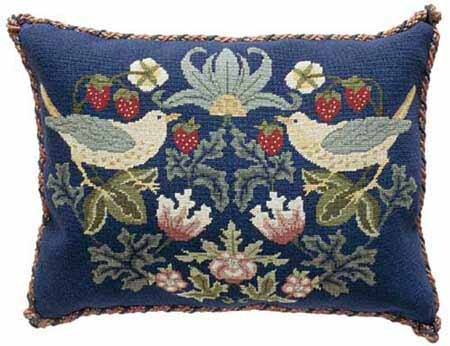 The kit uses Appletons crewel wool on 14hpi canvas and measures 11" x 16" (28 x 41cm). The canvas measures 22" x 26" (56 x 65cm) making it suitable for covering a chair by purchasing additional wool of the background colour. 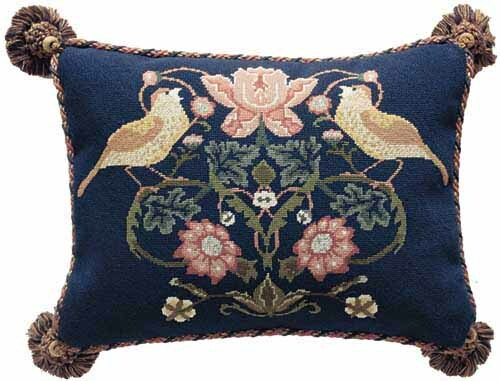 The kit uses Appletons crewel wool on 14hpi canvas and measures 11" x 14" (28 x 35.5cm). The canvas measures 22" x 26" (56 x 65cm) making it suitable for covering a chair by purchasing additional wool of the background colour.